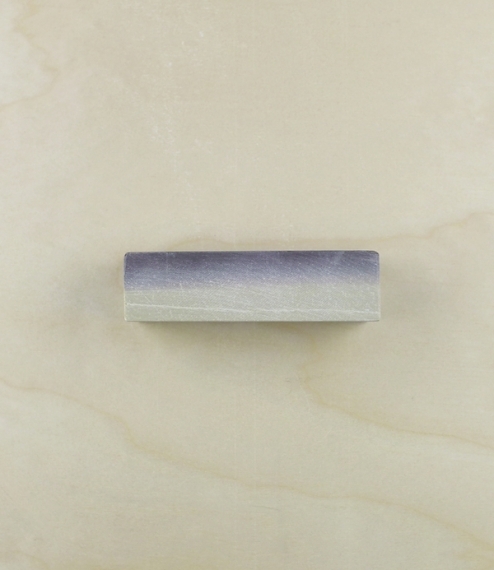 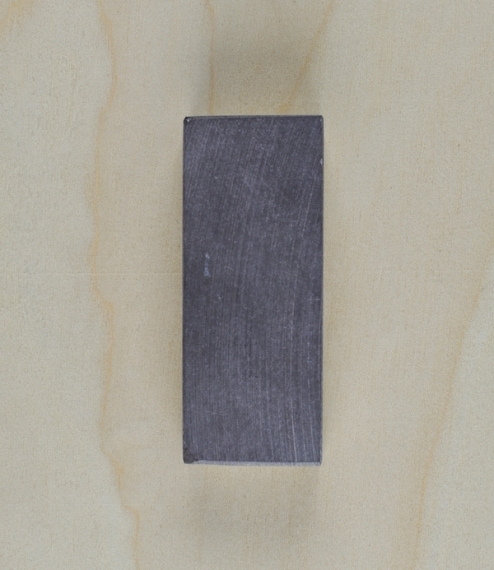 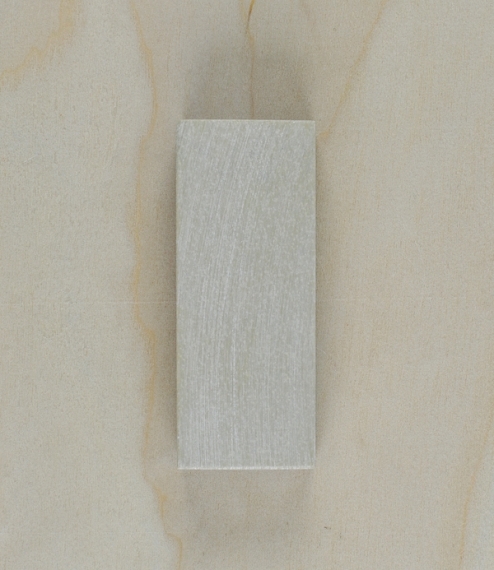 Natural Belgian coticule sharpening stones, either rectangular in shape and approximately 75mmx30mmx20mm - a surface of 22.5cm², or irregularly shaped and with a surface area between 33cm² and 39cm². 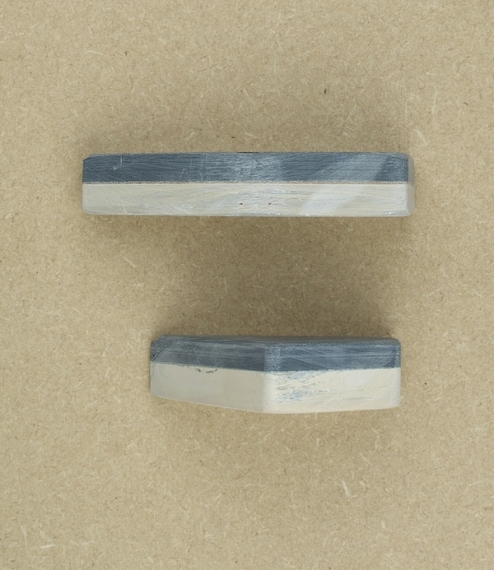 Both are adhered to a blue slate backing for support. 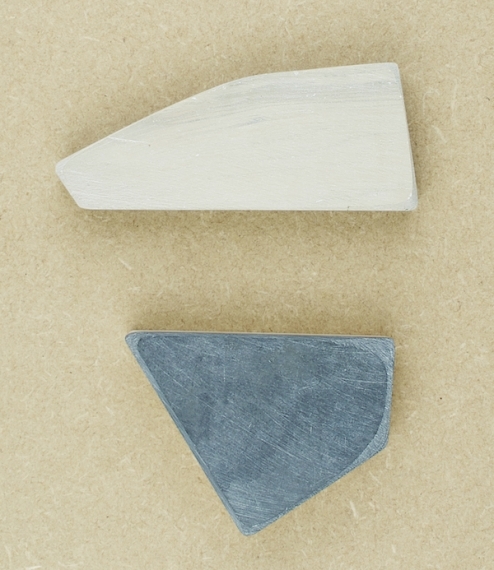 Since Roman times Ardennes yellow coticule has been renowned as the finest whetting stone for knives and tools. 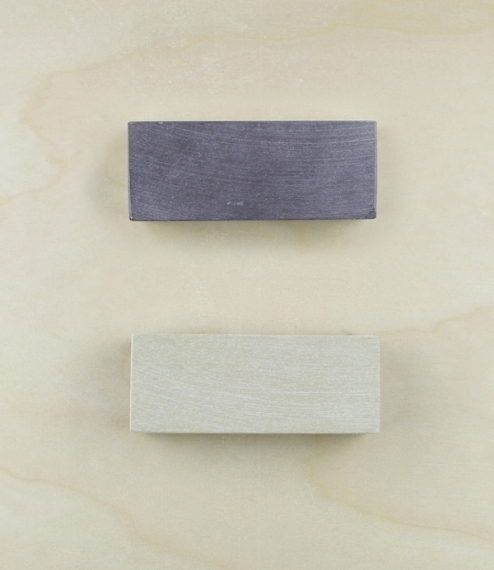 With a round to oval dodecahedral structured garnet content of 30-42% bound within a softer mica/quartz matrix, when used with an oil or water lubricant they rapidly develop a rich abrasive slurry, which quickly shapes and hones the edge at about 6000-8000 grit.